Got de-ported – Now what? I was de-ported last week. Not in a Justin-Bieber-kind-of-way but in a medical-sort-of-way. I had my one remaining IV mediport removed. When I was originally diagnosed with ovarian cancer, I qualified for a clinical trial which required two ports – one was IP (intra peritoneal) and one was the traditional IV power port in the chest. Due to clinical trial protocol, I had the IP port out as soon as I finished chemo. My trial included Avastin treatments which went on for several more months so I kept the IV port. Once Avastin treatments were over, I thought I’d have the IV port taken out right away. However, after thinking about it, I opted to keep it. I felt that it was my umbrella, so-to-speak, so that I could keep the “rain” away which means if I kept the port, maybe I’d never need again. Ovarian cancer has a high recurrence rate and I was late-stage when I was originally diagnosed so it’s very possible that it will come back. However, I have decided that 2014 is the year for change. Since I put so much effort into staring down cancer, after treatment was completed, I started getting involved in advocacy through the Ovarian Cancer National Alliance (see my previous post with former Miss USA Olivia Culpo). Now that my port is out, I feel even more passion for continuing the advocacy efforts to educate women, medical professionals, Capitol Hill, and anyone else who will listen about the signs, symptoms, and unquestionable need for an early detection test for ovarian cancer. This is why my efforts will now be with the GrassTops Program through the Ovarian Cancer National Alliance. I have enjoyed being a part of the Ovarian Cancer National Alliance’s annual conference for the last two years. This new opportunity with GrassTops will allow me to continue to speak for young girls, teenagers, and women of all ages who have lost their lives to this disease (including my grandmother) as well as to speak for those who are still in the fight and those who have not yet been diagnosed. I am committing the next two years to help the Alliance raise awareness and research dollars. Since this is my year for change, I have also been blessed with a charity fundraising slot in the 2014 Boston Marathon (as a former resident, Boston is my adopted hometown). Boston is a HUGE marathon and has always been a goal of mine. I completed five marathons prior to my cancer diagnosis. 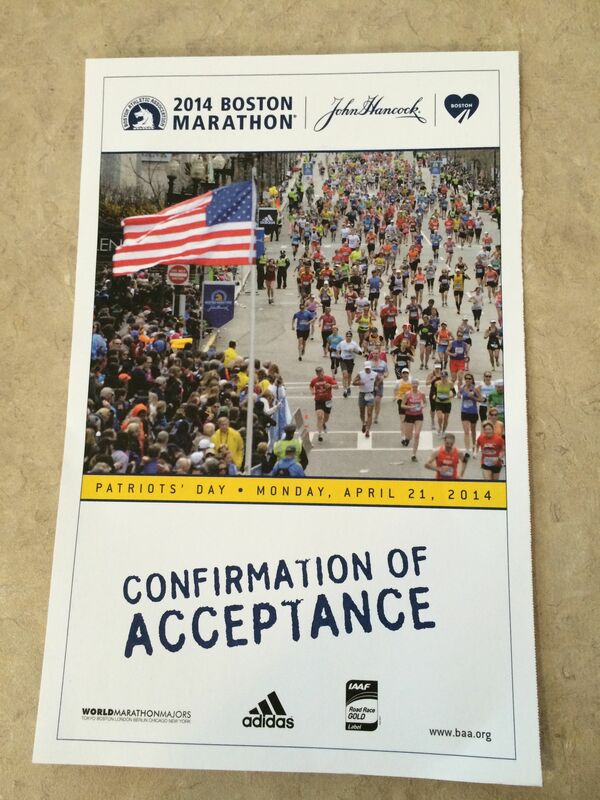 The Boston Marathon will my first marathon post-cancer and post-chemo. My body is built for endurance, not speed, so I will never be a time qualifier yet I was truly lucky to gain a charity slot for South Boston Neighborhood House a.k.a. The Ollie. I feel strong – both physically and emotionally. I cannot dwell on the probability of recurrence. I need to enjoy TODAY. I will not let cancer sap any more of my happiness nor will I be saddled with “what-ifs.” It’s time to move forward and put cancer in the rear-view mirror. One day recently I awoke and said, “I’m all done with this mediport.” So out it came last week and I have no regrets. I am so excited to be healthy enough to be training for another marathon. Boston will be a homecoming of sorts for me and it will be a dream come true. This is the year for change – the Boston Marathon is a life-long dream and I will realize that dream very soon. If you are able to help me reach my fundraising goal for South Boston Neighborhood House, please do so through this link.. Even $10 will go a long way to help this fantastic organization that does so much to support the South Boston community. Thank you in advance!!! 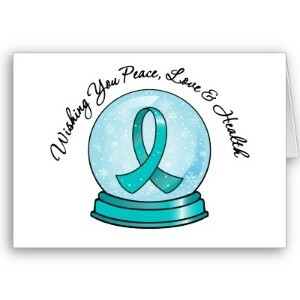 I also dream of an early detection test for ovarian cancer. I will continue the fight for all women. I will do all of this without any more mediports in me. So long, cancer! !